In today’s turbulent market, you need to focus on your core portfolio needs... unless you already have all the money you’ll ever need and can afford to speculate all the time. Today, I’m offering you a low-cost way to stay in the market through ups and downs, with a resilient portfolio you can buy and hold. Best of all, it harnesses one of the greatest financial innovations of all time for your benefit, while helping you avoid pitfalls that have devastated other investors. Jared Dillian here with a message that you need to read if you’re concerned about the performance of your investments in a volatile market. First of all, I’m going to say something that financial newsletter guys never say: Investing isn’t for everyone. Most people are actually bad investors. And everyone should clean up their personal finances before even thinking about investing. But what then? With so many financial content providers hawking "get rich now" quick fixes, where do you go to ensure the bulk of your portfolio is invested in getting you rich in a slow, deliberate, sustainable way? There is one innovation that offers you more ways than ever to control your financial future. 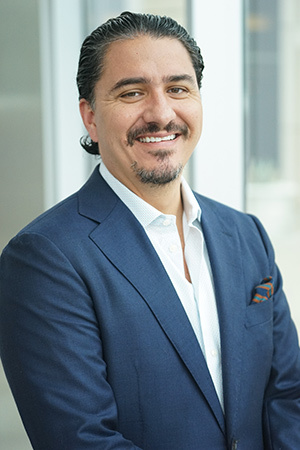 I’ve been around ETFs since the early days, as head of ETF trading at Lehman Brothers. I’ve been trading ETFs since 2004, first on Wall Street and now for my own account. I am pro-ETF. The thing most people don't realize about ETF traders is that you essentially touch every asset class: commodities, currencies, equities, rates, even credit. And some days, I traded as much as $1 billion in clients’ assets. Nowadays, I write about ETFs regularly for outlets like Bloomberg View, Forbes, and Seeking Alpha. So I’ve had a ring-side seat to their breakneck evolution. ETFs are one of the top five financial innovations of the last 100 years. Think about it... you can securitize anything, slap a ticker on it, and anyone can trade it. Unless you’re against freedom of choice, that is a great development. Or build a fully diversified ETF portfolio. Plus, you can maximize your returns while also minimizing volatility. Then there’s the fact that there are ETFs to suit any stage of your investing life. What’s your goal? Retirement? Funding your kids’ education? Just earning something for your money? Me? Long term, I want to get a private jet to transport my cats. Or charter one. It’s a little outrageous, sure. But my point is that ETFs are a “fits-all” tool. They can help people achieve their goals, no matter what those goals are. So, if you want to use ETFs to get ahead... well, I want to help you do that. ETF 20/20 focuses exclusively on helping you become a successful long-term ETF investor. And my mix of Wall Street ETF trading experience and Main Street ETF analysis makes me pretty uniquely qualified to run an ETF publication for individual investors. Just ask ETF 20/20 subscriber John Mc I., who says: "Well thought-out macro analysis, great ETF rating system. Considering the price, this has to be the best value in the investment advisory world." And building a weighted, diversified portfolio made up entirely of ETFs is an active decision to invest in ETFs in a smart, highly targeted way. In ETF 20/20, you have a full portfolio set up and waiting for you. Step 1. I take a big-picture view of what’s going on with economic trends, the political environment, monetary policy, and more. This allows me to spot macro trends and opportunities that are just beginning to lift off. Step 2. I vet ETFs that could profit from that macro view by running them through our new, proprietary ETF Rating System. It tests the ETFs on a number of different criteria (including fees and liquidity) and lets the best rise to the top. In other words, it’s a system that takes away the hours and hours of research required to trawl through ETFs to find out whether they have any hidden “gotchas” like liquidity issues, high fees, and lots more. Boiling the process down to two steps probably makes it seem effortless. But I decided not to bore you with the hours and hours of research I absorb when evaluating a macro viewpoint ... or the hours and hours of research that go into each ETF pick. So, once you decide to subscribe to ETF 20/20, you’re ready to hit the ground running. With the ETF 20/20 portfolio, you don’t have to worry about “false diversification,” a.k.a. a large amount of overlap in the underlying holdings of your ETFs. You also don’t have to worry about liquidity issues or other potential risks, thanks to the ETF Rating System. And you don’t have to worry about allocation... that’s my job. Instant access to a diversified portfolio: When you subscribe, you’ll immediately get access to my full portfolio—diversified and weighted according to my conviction and our risk tolerance. Sharp macro analysis from an industry veteran: One of my main strengths is seeing the bigger picture, especially when others are not seeing it. Actionable advice, month by month: Every month, you’ll get a full issue of ETF 20/20 delivered to your inbox: updating the portfolio, revealing my latest investment ideas, and more. Accountability: So much of the financial world is "heads I win, tails you lose" and that includes newsletter publishing, too. I personally invest in all the same themes you find in ETF 20/20. I believe in what we are doing here. Speculation: We are not speculators, we are investors. You don’t need to worry about my recommending a leveraged ETF or something similarly dangerous. Breaking news: There’s enough being written about ETFs in the news. We are going to stay focused on our long-term ideas... and which ETFs are likely to make us the most money based on those ideas. Consensus thinking: I’m a contrarian—I view the herd with suspicion. This attitude has been the basis of some of the greatest trades I have ever made, and it is also part of ETF 20/20. Day-trading: ETF 20/20 is a bit like a robo-advisor—but cheaper, and better. Better because a robo-advisor is going to build a bogus portfolio that is going to get hammered when correlations break down. A fair-weather portfolio. I believe in "set it and forget it" investing. Ready to subscribe now? Click here! At this point, you’re probably wondering what ETF 20/20 is going to cost. Well, while other investors are paying hundreds or thousands of dollars for ETF research, you’ll be able to build a long-term, solid, profit-generating portfolio for a fraction of the price. The portfolio and every issue of ETF 20/20 are ready and waiting for you. You can access them immediately when you join and start building your new and effective ETF portfolio straight away. Then, on the third Tuesday of every month, I’ll send you a fresh new issue of ETF 20/20, with macro ideas, actionable advice, portfolio updates, popular (or just plain crazy) ETFs to stay away from, and more. That’s 12 issues a year, and each and every one will be dedicated to improving the portfolio and helping you become a successful long-term ETF investor. With ETF 20/20, I’m trying to do something very different from anything else in the industry. And that extends to the price, too. I want you to join ETF 20/20 at a rate that is much lower than other newsletters, which is why you can subscribe for just $99 per year. That’s around $8.25 per issue... and each issue is filled with invaluable advice. I’m generally not a fan of money-back guarantees, but I’m very confident you’re going to be a big fan of ETF 20/20. So, here’s the money-back guarantee: You have a full 90 days to decide if ETF 20/20 is right for you. 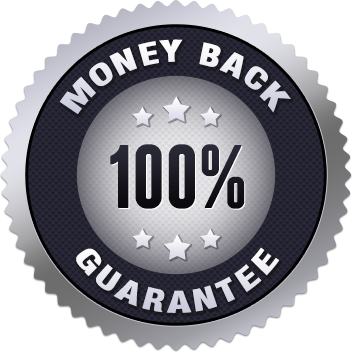 If you’re not 100% satisfied—for any reason—you can cancel within those 90 days and receive a full refund. In those 90 days, you’ll get three issues, and access to the full portfolio. And if you don’t like ETF 20/20, I will give you your money back, no questions asked. But if you want to be an ETF investor who knows what to do to get rich in a slow, deliberate, sustainable manner... then you won’t be asking for a refund. As money continues to pour into ETFs, now is the time to take action. If you want to build a solid, sustainable, diversified portfolio of ETFs to help secure your financial future, then ETF 20/20 is for you. If you want to learn from an ETF specialist and ex-trader about how to express macro views, how to pick the best ETFs for your needs, and how to avoid the potentially dangerous ETFs swirling around the markets... then ETF 20/20 is for you. If you want to pour money into “the market” just because it’s going up, ETF 20/20 may not be for you... but it will help you see that there is a much better, safer way to put your money into ETFs. Go behind the curtain of ETF 20/20: In the first issue, I take you through the plan for ETF 20/20: our goals, how the portfolio is constructed, and my biggest macro ideas. 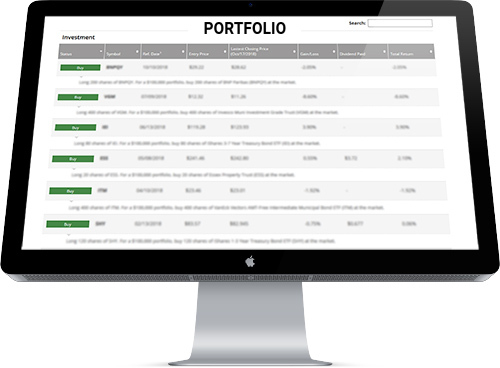 Get instant access to the portfolio: The portfolio is made up of ETFs that express my macro ideas. I also list the weightings in the portfolio as percentages—that means it’ll be easy to allocate whether you’re starting out with $500 or $50,000. Access a full year of ETF 20/20 archives: The portfolio is laid out clearly so you can get started straight away. But if you want to catch up on a full year of my commentary and analysis, you have full access to every past issue of ETF 20/20. Get each issue for just $8.25: For just $99 per year, I will help you invest in ETFs in a sustainable, safe, and profitable way. Get my weekly letter The 10th Man: It’s contrarian, it’s incisive, and it’ll be delivered to your inbox every Thursday. Join risk-free: If you decide ETF 20/20 isn’t for you within 90 days... I’ll return your money, no questions asked. Simply fill out the order form to get started.